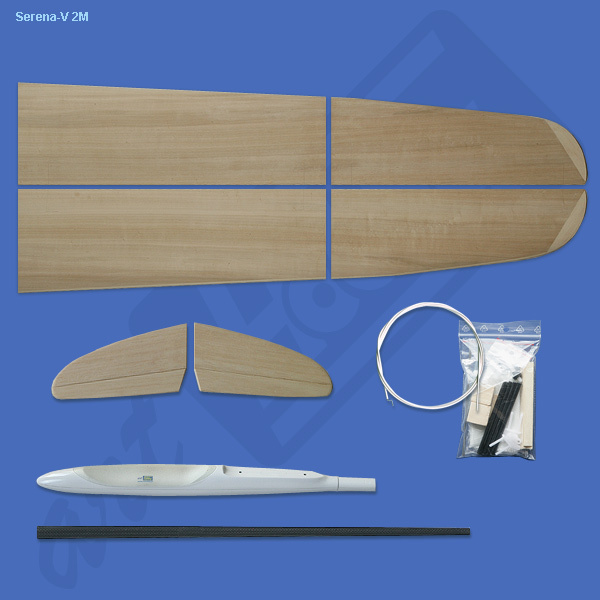 Serena-V 2M is a 2-meter class competition sailplane. Also good slope performer in light to moderate wind conditions. It has wide envelope of speeds, excellent air penetration and superb thermal characteristics. It has a double-trapezoid, tapered wing with built-in washout for tip-stall resistant flight characteristics, and low drag. 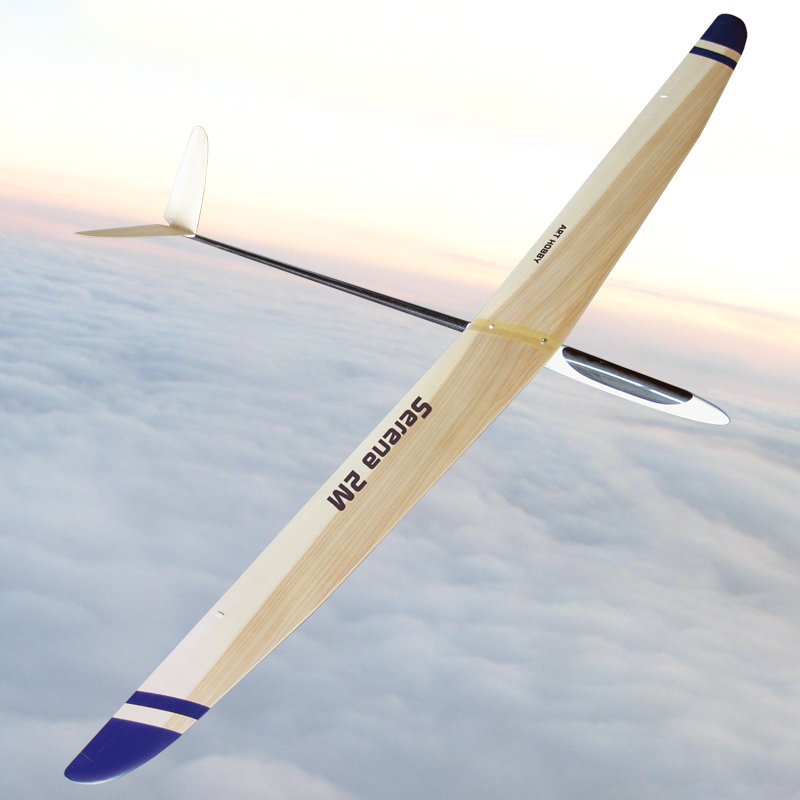 It features OP0830C airfoil specially modified for this sailplane. Serena-s wing could be built with aileron and flaps, with ailerons only or as polyhedral wing if desired by the builder. Model is equipped with very durable reinforced glass composite pod and very light but strong Carbon-Glass composite tail boom. The glider tail is made with selected balsa wood with pre-hinged elevators and is removable, mounted with 2- M2 screws. Serena is a fast assembling, high quality model enjoyable to fly. 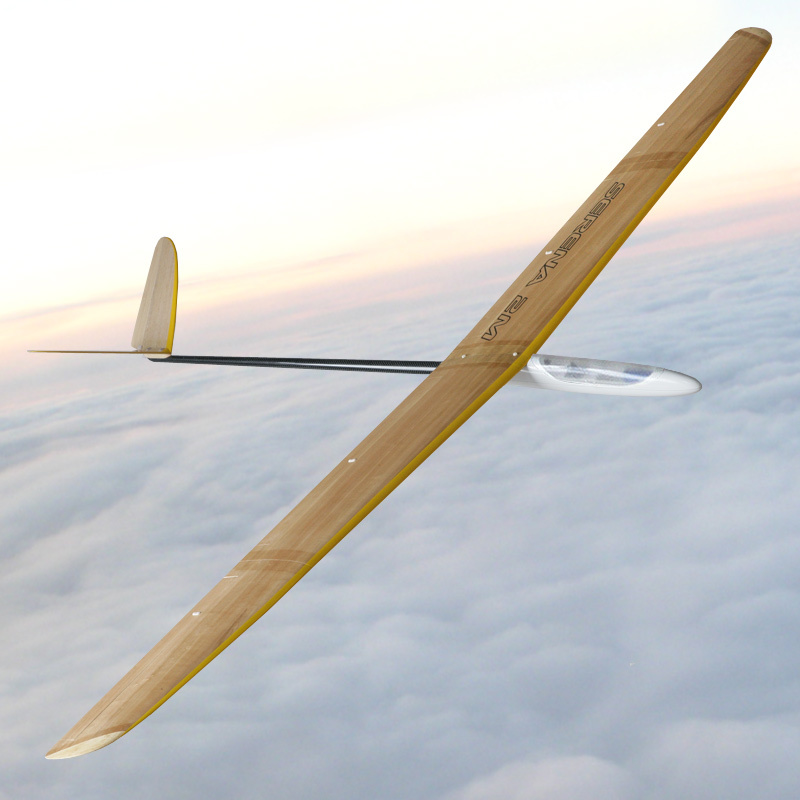 - glider drawing and step by step instructions. ~470 g / 16.4 oz.